A swarm of bees stopped play midway through Sri Lanka's innings in the third one-day international against South Africa in Johannesburg. 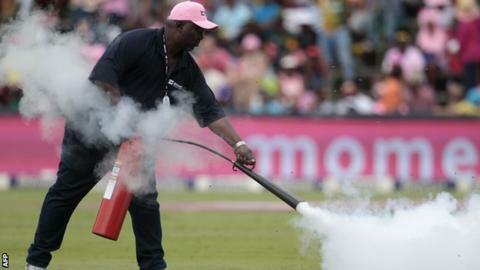 A groundsman used a fire extinguisher to try to disperse the bees, before a beekeeper was called to the Wanderers. Play restarted over an hour later and South Africa won by seven wickets.